When Liz Bohannon traveled to Uganda in the summer of 2011, she knew she wanted to make an impact. Though the purpose of the trip was initially journalistic, she soon realized she wanted to help the women she met in the country. Many of them were smart and talented, but simply didn’t have the resources to go to college or set a clear path to succeed professionally. Bohannon’s immediate impulse was to figure out how to help them through a nonprofit organization. Her background in journalism made her question how the nonprofits she encountered were operating so she could understand the real long-term impact they were having in women’s lives. What she found startled and challenged her. “To be totally honest, I kind of went through a season of disillusionment,” she remembers. Not only were many of the nonprofits she encountered only focused on short-term results, they also fostered a dynamic between donors and the people they were helping that Bohannon saw as deeply problematic. Instead, the relational dynamics she witnessed seemed totally one-sided. The experience eventually led her to start Sseko Designs, a fashion and footwear brand that not only employs women in East Africa—allowing them to earn an income and break cycles of poverty—but also helps provide them with college scholarships that foster entrepreneurialism in their own communities. After moving to Uganda, living among the people she wanted to help and learning the dynamics of the problems they were facing, she decided starting a nonprofit simply wasn’t the best way to get involved. However, her impulse—launching a nonprofit organization to solve the world’s problems—is a common one. Not only are millennials entrepreneurial—49 percent plan to start their own businesses within the next three years—but 94 percent of millennials want to use their skills to benefit a cause, according to The Society for Human Resource Management. He’s the founder of Krochet Kids, a hybrid business-nonprofit that also employs women in the developing world to make apparel and helps them achieve better lives. He says in the 10 years since the founding, he’s met dozens of people who want to launch nonprofits, but don’t understand the commitment it entails. “If you’re not willing to make a long-term commitment to living or being in Africa, you probably shouldn’t go to Africa,” he says. Like Bohannon, he says it’s critical to truly understand the problem facing the people you desire to help. But finding out if something really is needed, understanding the needs on the ground and actually coming up with a sustainable model to help can be an extremely involved process. Just ask the founder of the world’s most respected nonprofit: The International Justice Mission. Gary Haugen was 30 years old, working as a prosecutor at the United States Department of Justice when he was sent on an assignment that would change his life: He went to Rwanda to investigate the genocide that had killed hundreds of thousands. The experience led to a revelation. As an experienced lawyer who had already made his way into the highest levels of government, Haugen’s initial plan was to find a nonprofit and get involved. “I think this is a reasonable thing to then say, ‘Well, maybe I could go work for that organization,’” he explains. He and his brother, a pastor, began looking for an organization that was helping those suffering from violence, but they couldn’t find anything. “Isn’t this strange that there’s a Christian response to almost every kind of need amongst the poor—if it’s a lack of food or lack of fresh water or housing or medical care or education—but what if the problem is violence?” he says. For the next three years, Haugen studied the problem of violence against impoverished communities, looking for others who were trying to make a difference, learning what it took to start a nonprofit and honing his legal skills—all while maintaining his full-time job. Finally, four years after he first landed in Rwanda and saw firsthand how desperately the world needed an organization to advocate on behalf of victims of violence, he founded what today is known as IJM. Today, the organization employs more than 750 people in offices globally and has helped more than 40,000 people facing oppression. “I am so immensely grateful for all of the development that had proceeded, professional development and a little bit of maturity because I was actually way over my head getting started,” he admits. What he learned in the years it took to start IJM was, first and foremost, to be clear on what you personally are setting out to achieve. And it all starts with asking three major questions. “I’ve talked to … young people who are interested in starting a nonprofit, and I generally tell them there are really just three questions you need to ask, and these are the three questions I found myself asking,” he explains. It’s a question that Bohannon wrestled with early on when she looked at the work being done by organizations in Uganda. 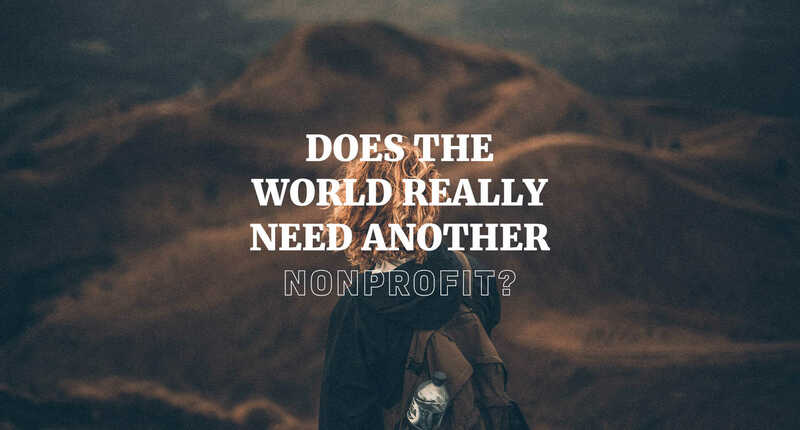 “The reality is, 90 percent of the problems that these nonprofits are seeking to solve, would be solved if the people they are seeking to serve had jobs,” she says. Essentially, many misidentified the need. It wasn’t just feed the hungry—it was help people to be able to support themselves and their families. Is Someone Else Meeting That Need? Krochet Kids employs women in Uganda and Peru who make the clothing and accessories they sell. Their names are then written on the inner tags of hats and apparel so customers know whose life is being affected. In a way, that comes back to finding someone meeting a need—women in developing countries who want to work to provide for their families—and walking beside them. “One of my encouragements is always, if you make products or you know how to do something, find an organization that is doing amazing community development work in the developing world or is working with artisans,” he says. Specialty gum and candy brand Project 7 partners with organizations around the world to help those in need, and to date, thanks to their efforts, has helped serve more than 4 million meals in the U.S. alone, provided 116,000 malaria treatments, built wells around the world, helped children receive an education and more. Its founder, Tyler Merrick encourages anyone wanting to make a difference to first link arms with someone else already doing it, and then evaluate whether they still want to strike out on their own. Crecelius says that it’s critical that no one simply tries to go it alone. “The most creative minds and successful people in the world, you read their stories and you realize they were typically a part of a team or this community of people that were all pursuing that dream together,” he says. “Can I actually do something that would make a difference? Because it can also be true that there’s a need and no one else is doing [anything], but I don’t actually have anything I can honestly bring to the table,” Haugen says. Just because there is a need to be met, it doesn’t mean everyone has the specific skills and resources to do it. But that’s not a bad thing or anything to feel ashamed about. 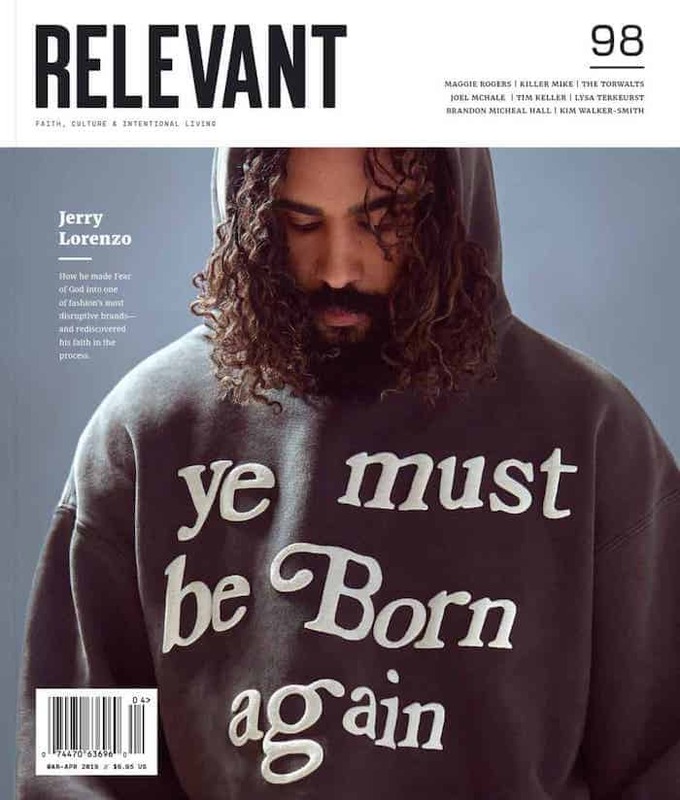 Merrick says that too often, many millennials—particularly Christians—believe that they are only doing truly good work if they’re doing something outwardly impactful, even if they’re equipped for it. Bohannon realized that to be most effective, she needed to forgo the traditional nonprofit model and start a business that empowered women. Haugen witnessed widespread injustice and founded a nonprofit to help people the world was ignoring. After 10 years of running a nonprofit, Crecelius is shifting the model of his brand to a hybrid for-profit to find better ways to serve the women he employs. Merrick’s Project 7 is continuing to learn how to best provide money to its nonprofit partners, while also supplying a great product to his customers. Each of them has taken different journeys while pursuing their passion to help others, and each has learned their own lessons along the way. But even with all of the questions they each encourage people to ask and investigate before launching their own organization, Haugen says there’s one singular step that he would tell anyone looking to make a difference to take. Haugen says if you truly seek God, ask the right questions and partner with the right people, then there will nothing stopping you from literally changing the world.